The Green Bay Packers have struggled on all fronts this season, but perhaps the most unexpected troubles that have come their have been those of the passing game. For about half of the season, receivers Randall Cobb and Geronimo Allison have been injured -- the latter is done for the season -- leaving Green Bay with two rookies behind No. 1 option Davante Adams. Understandably, the attack through the air has stalled. However, the ​Packers have been awaiting the return of another man who showed promise during the preseason this year. That would be fan favorite Jake Kumerow, their breakout star of the preseason, and it really looks like he'll finally be back to make his season debut week after dealing with a tough shoulder injury. Jake Kumerow says he has “quite a bit of family coming for the game.” That sounds like it’s going to be Kumerow time on Sunday. 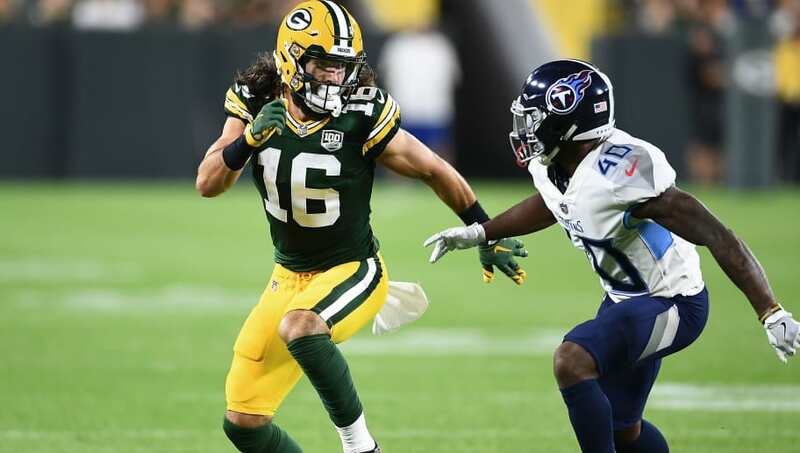 Kumerow made noise before the season began, hauling in six catches for a whopping 190 yards and two touchdowns in just two preseason matchups. Aaron Rodgers himself seemed excited about the 26-year-old, but his proper regular season debut has been delayed. Until now, it appears. With Kumerow stating that he's got a lot of family heading to Lambeau on Sunday for Green Bay's matchup with the Arizona Cardinals, he sounds confident that he's going to play. The Packers have been reduced to betting on a rookie who had two great preseason games this year to save their regular season. Well, what do they have to lose? Perhaps Kumerow will be the spark Green Bay needs to ignite their offense. Perhaps not. But if those flowing locks are finally ready to grace the field in a competitive game, that's a source for some excitement.